As we have already witnessed history in 2016 with the incredible test match at Newlands, we would like to start 2016 in the right way, by saluting the best moments of South African sport in 2015. Noting that we are staying on the positive as it sets the right tone for the year, the Springboks defeat to Japan will not be included but rather ignored. Lets salute the best. Here are my top five. 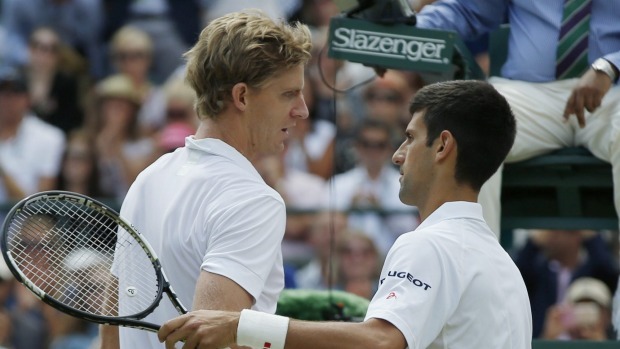 I have written on a few occasions about the curious case of Kevin Anderson, whether he is a friend or a foe, but in 2015 Kevin underlined his ability and grew in numbers of fans. His standout moment may very well have been how he pushed Wimbledon champion and World Number one, Novak Djokovic, a memorable match. He then topped this off by defeating Andy Murray in the Round of 16 at the US Open to reach his first Quarter Final at a Grand Slam, and helped him to become the first South African top 10 player in 18 years. He may still have some doubters, but another year of growth will see those numbers diminish. It’s crazy that Kagiso is now a household name and a regular in all formats for the Proteas, but it’s not that long ago that he stormed into the International scene with the kind of performance that will go down in folklore. His debut game against Bangladesh saw Kagiso take his first, second and third international wickets in three successive deliveries. Kagiso’s return of 6/16 became the best ever performance by a bowler on debut and the best ever ODI figures by a South African. What a start to what promises to be an outstanding career! Chad Ho became a household name in 2009 when he won a bronze medal in the 5km Open Water swim at the FINA World Championships. 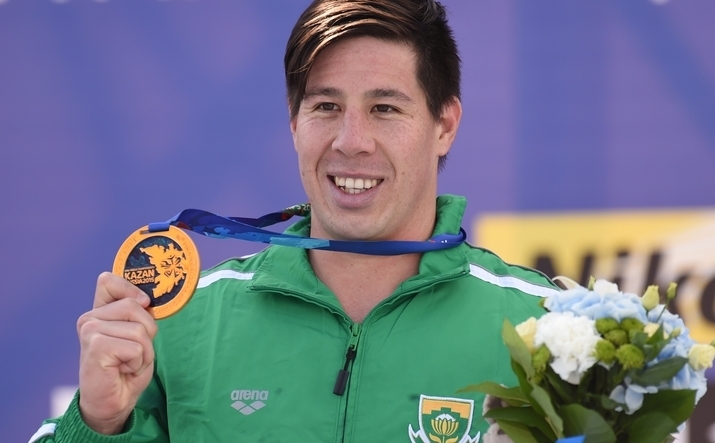 He unfortunately failed to build on this growth and found himself out of the public eye and also outside of funding from Swimming South Africa to compete at the 2015 FINA World Champs, Chad turned to crowdfund and managed to raise enough to get to Kazan in Russia. Once there Chad emerged victorious in one of the closest finishes imaginable beating Rob Muffels by a split second in the 5km race. This was South Africa’s 10th FINA gold medal and undoubtedly the most unlikely. There is not much you can say about this knock by AB de Villiers that hasn’t already been said. The Wanderers has witnessed some incredible cricket over the years and AB delivered possibly the most memorable One Day International knock you will ever see with the fastest 50 and 100 in devastating fashion. 44 Balls, 16 sixes. 31 balls to get to a century, smashing the previous record by 5 balls. It led South Africa to our highest ODI total of 439, second only to Sri Lanka’s 443. It was another reminder of how lucky we are to have the diminutive master in our folds. 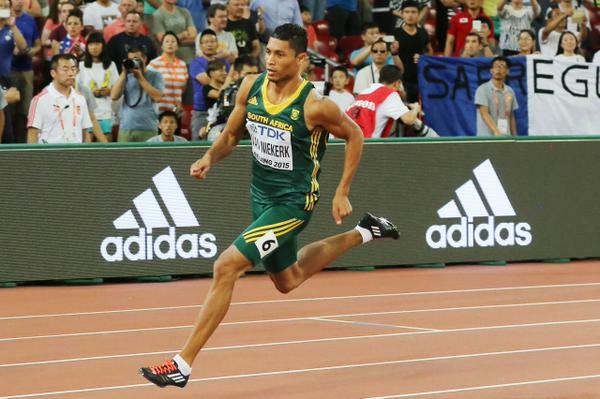 It could easily have been Anaso Jobodwana in the 200m sprints at the World Athletics Championships, but Wayde van Niekerk stands out as the most deserving of winners. His 400m win at the World Championships produced South Africa’s finest sporting moment of the year. It was the first time an African had won the 400m world title and the time he ran in the final was the 4th fastest in history. He also broke the South African 200m record earlier in the year but decided to focus on the 400m and subsequently lost that record to Anaso. The South African Sports Star of the year at only 23 and most deserving of the best South African Sporting moment of 2015. What was your favourite moment from 2015?